There’s a lot of cleaning going on prior and during Christmas. LG has therefore timely released two new vacuum cleaners that make the holiday easier to manage: LG Hom-Bot Square robotic vacuum cleaner and the LG CordZero handstick cleaner. 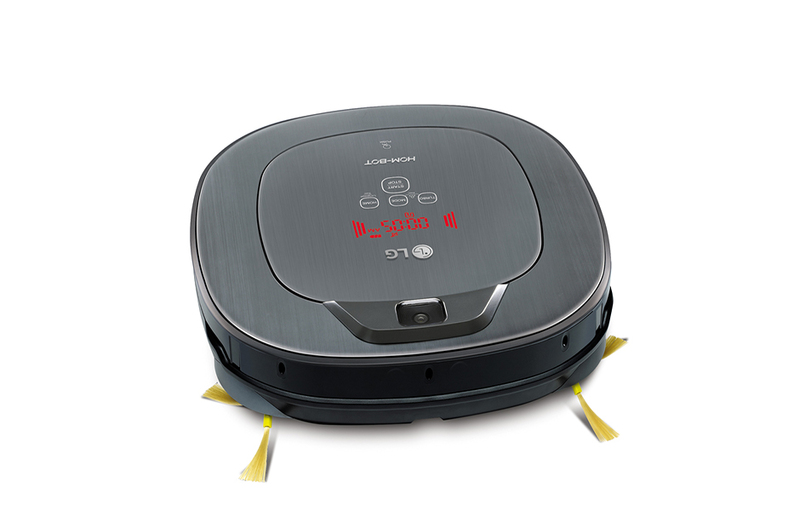 The square shaped Hom-Bot increases reach into corners by 94% compared to the more common circle-shaped robot vacuum cleaners. The Dual Eye 2.0 camera handles low-light conditions really well. You can, therefore, put Hom-Bot to work regardless of whether the lights are turned on at home or not. Another added benefit is the low noise level of 60 dB. Hence, you won’t disturb your neighbours by vacuuming late at night. The battery last 100 minutes, which means that Hom-Bot can vacuum really large areas without recharging the battery. The predecessor LG VRG270LVMB was released two years, and very satisfied owners can consider an upgrade given the improvements that the new model offers. The single eye camera with model number VR6540LV costs $300 less than the dual camera one. Image source: LG. CordZero Handstick vacuum cleaner. LG CordZero employs a 2-in-1 design. Removing the handle transforms CordZero to a handheld vacuum cleaner. This handstick vacuum cleaner also functions as a mop by attaching a microfiber cloth. Hence, it’s possible to mop and vacuum simultaneously. There’s a small, built-in container for the soap. LG New Zealand doesn’t list the Hom-Bot and the CordZero on its website, so they might only be available from parallel importers.